If you are a WordPress user, you must be completely aware of its performance abilities. WordPress is really easy to use, and it has helped millions establish a profound business. However, some hurdles may have intervened in your process of success. There are various WordPress errors such as WordPress error logs, WordPress fatal error, WordPress display errors, and some more. Managing WordPress pages and handling those WordPress errors could end life in frustration. Have you ever encountered any WordPress fatal errors? WordPress errors can happen, but don’t worry- they can be quickly resolved too! So, if you are searching for a solution to some of the common WordPress fatal errors or WordPress display errors; you have landed on the right page. Within this article, we have entailed the most common WordPress errors you may encounter. We have also described solutions to these errors. So, let’s get started! 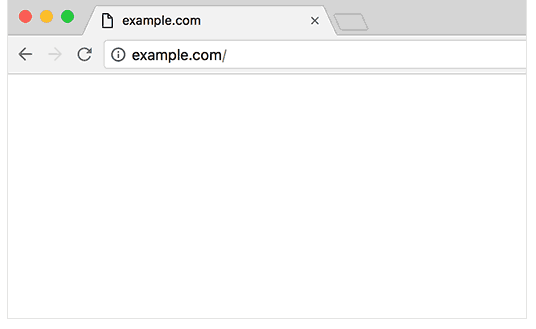 There are occasions when no error message reveals on your WordPress site; instead, a plain white screen appears. This is the most disillusion time since no one has any idea what to do. This error normally occurs due to PHP or database errors, but the most possible reasons for this issue arise due to the following reasons. Log on to site via FTP> locate the folder wp-content/plugins > rename the plugin folder plugins_old. Logging into Administration Screen> activate default WordPress Twenty Sixteen/Seventeen Theme. Log on to your site via FTP> navigate wp-content/themes/folder. Now rename the folder and activate the theme. If you find a message like: “the theme directory (theme name) does not exist”. Then head on to resolve this issue. 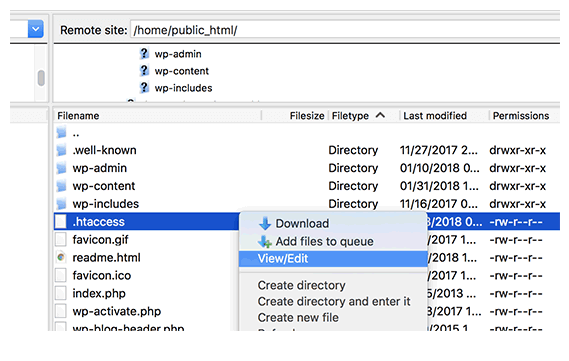 Edit the theme and style sheet records in wp_option. Hopefully, your issue will be resolved but if you still experience problems check out WordPress PHP errors for more information. 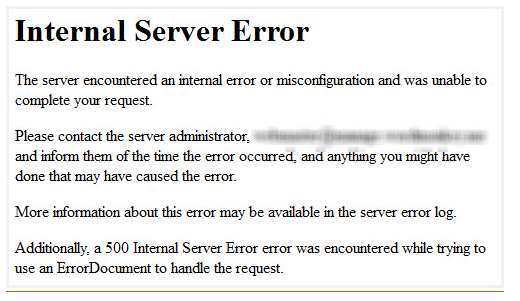 Internal server error also known as 500 internal server error is the most common but most confusing WordPress error. Viewing this error may end you up in a state of ambiguity. Since the server is unable to identify the problem. The first essential step you need to make is to rename your main .htaccess file to .htaccess_old. When the server cannot access the database “Error Establishing A Database Connection” appears on your screen. 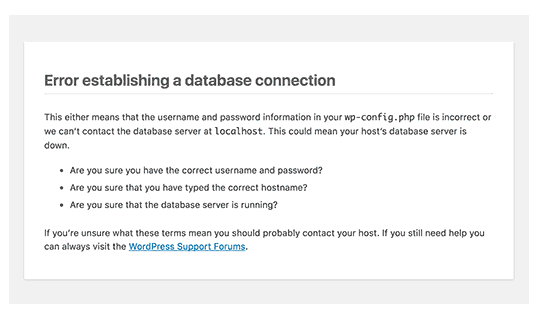 The most possible reason behind this error is when the database login credentials are modified thereby a misconfigured wp-config.php file occurs. Hopefully, you will resolve this issue, but if the problem still remains unsolved contact your host. All of them mean the same thing. If the problem still exits> update your .htaccess file manually. Likewise 404 error; syntax error is another common but simple WordPress display error that occurs while adding code snippet into WordPress. It generally happens when someone accidentally misses a character in the code, number, bracket or anything else. This is actually a simple problem with a simple solution. Follow the instruction. 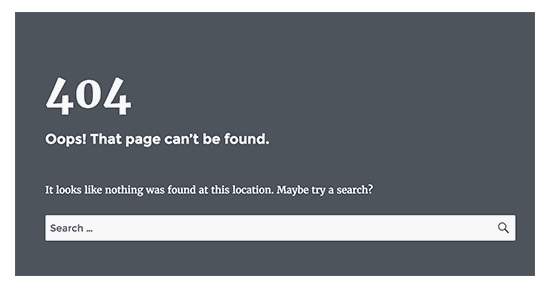 If you are updating your site and this message pops on; it’s okay. However, if the process is complete and this message still lingers on then, you need to work hard on it. 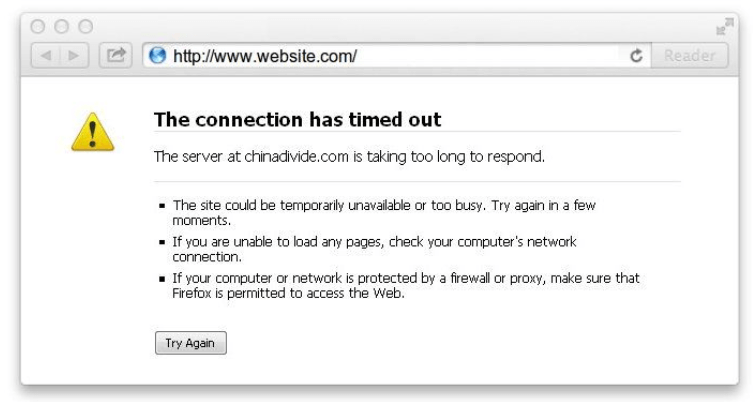 This generally occurs because a site during updates sets its self in the maintenance mode. Locate any errors in the serach.php and index.php template files. Do you know maximum execution time for a WordPress site cannot be exceeded by more than 5 sec? Then, the following error appears on the screen. Hopefully, you can fix this fatal error with ease. But let’s look into some other fatal errors you may encounter during your experience. At times your sidebar moves away from its unusual position and appears below the main content. Yes, this is weird, and it makes look awkward. So, you need to fix this. To resolve this issue faster try W3C Markup Validation Service; they would help you to locate the mistake more quickly. There may be times when your image may appear incorrectly after you upload them or may not upload at all. Have you ever encountered such a problem? Thus to resolve this issue, just click on this link and address th issue fast. To learn more, you can follow this tutorial post. There are occasions when your auto-upgrade feature fails. A warning may appear on your screen stating that the update has failed, or a completely black screen may appear indicating no information. 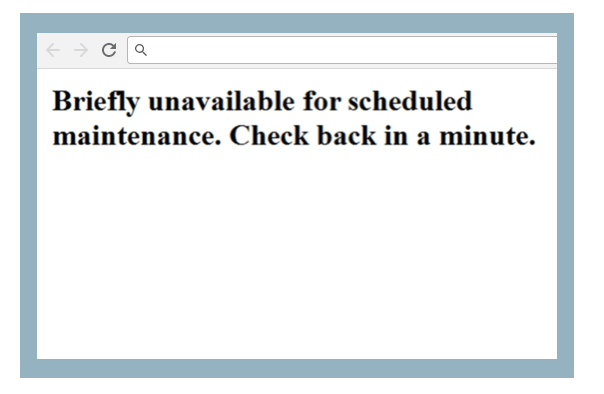 Moreover, a PHP error message may also appear. RSS Feed Errors generally occurs when you make changes in your plugins and themes. They are typically caused by poor formatting. A missing lien or extra tabs can break your RSS feed. But don’t worry this error is as simple as it seems. Fix it through two ways; either manually or with the help of a plugin. If you can manage it manually well and good, but if you want the quicker way; install and activate a renowned WordPress plugin. Click to install Fix My Feed RSS Repair plugin. WordPress is an excellent platform, but nothing is perfect. Issues arise, but when solutions are there, then no issue exists. Therefore, if you experience any of these problems; don’t worry! Things go wrong; these are the most common WordPress issues that users encounter. Thus, WordPress has equipped its users with a solution to these problems too. Within this post, we have revealed the most common WordPress errors along with their causes and solutions. 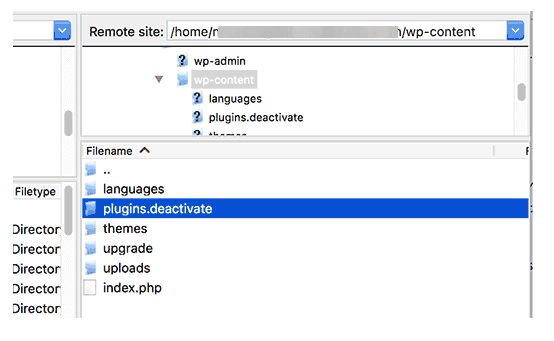 Do you know any other common and fatal WordPress errors? Let us know in the comment section below! This post is written by Khurram Shahzad. He is an experienced WordPress blogger. And a pro contributor at Quora and Medium.